The first episode of the BBC's eagerly awaited adaptation of Hilary Mantel's Tudor historical drama "Wolf Hall" hit the UK's TV screens last night. Lets hope that UK's TV event of the year is swiftly syndicated world wide. And as a miniaturist I hope too that the number of Tudor dollshouse enthusiasts will grow! 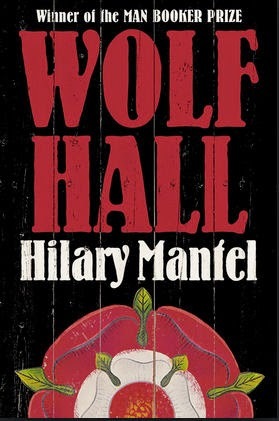 Wolf Hall is the first Booker prize winner of a trilogy by Mantel which charts the rise to power of Thomas Cromwell. Low born but able, intelligent and aspiring, Cromwell was ready to make his mark in Tudor society. He fast became a confidant of his master Cardinal Wolsey and then, following Wolsey's fall from favour, of Henry VIII himself. He achieved this by working behind the scenes and advising the King during the protracted negotiations with Rome to try to secure the King's divorce from his first wife, Spain's Katherine of Aragon. The eventual divorce, self-proclaimed by Henry in the end, paved the way for his marriage to Anne Boleyn and England's irrevocable break with the Church of Rome. 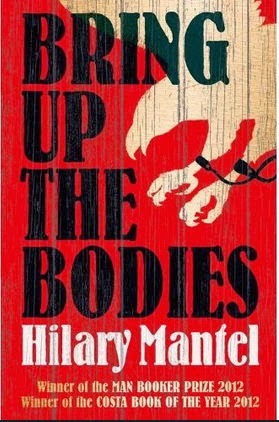 The BBC has produced a lavish and historically accurate six part historical drama of Wolf Hall and its Booker winning successor "Bring up the Bodies". Mantel is the first author ever to win two Booker prizes - a feat indeed! I had raced to finish the book before the first episode was transmitted, but I fell short by some 120 pages of its 650. A little bedtime reading left then! As a modeller of Tudor ( and earlier Medieval) foods I have been noting every mention of food, whether simply prepared or consumed. Interestingly Mantel has the achieved feat of two Booker prizes, but has not resorted to description of a feast from what I have read so far. Perhaps this is because Cromwell is not elevated enough as yet in my reading to be invited to attend them. In episode one we heard Cromwell mention the need for nutmeg and saffron when Wolsey's household is unceremoniously downsized on a winter's night from York Palace to Esher Place. These were exotic and expensive spices, traded by merchants in the Middle East. But we also see Wolsey in happier times offering Cromwell a pewter plate of cherries (it must be early summer). Later on in the episode, Cromwell is dining with Thomas More who is at odds with Wolsey and stands in the way of Henry's divorce. Their mutual host remarks that it seems as if More dislikes his herring. Later, to point out the difference between himself and More, Cromwell compliments his host and the herring - asking for he recipe of the accompanying sauce. MedievalMorsels models one inch white herring for your Tudor dollshouse kitchen scene, maybe I need to add a pewter plate of 12th scale herring, cubed with white sauce to eat with fingers as we saw Cromwell do. A new range of authentic medieval and Tudor dollhouse food for Wolf Hall foodie enthusiasts beckons! Certainly I am going to work on some plates of luscious cherries! My sister and her co-proprietor Gillian already model these in lovely punnets, as well as on cherry pie making preparation boards and a cherry pie-making table in their Etsy shop "abasketof...". Quinces - a most peculiar fruit?